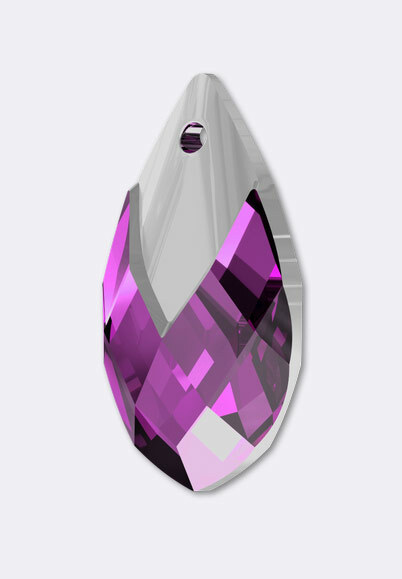 Sleek sparkle fills this Swarovski pendant. This elegant pear-shaped pendant features a brilliant multilayered cut and a pressed cavity on top with a coating that looks like a metal frame. The metallic coating will make a wonderful complement to rhodium-colored clasps, pinch bails, loops, and more. 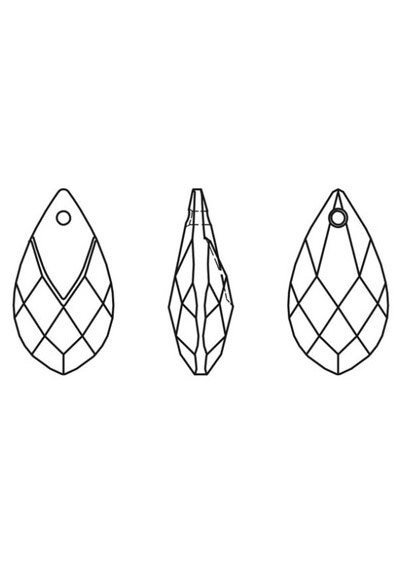 With this pendant, you don't have to glue a metal cap and you'll save time designing.